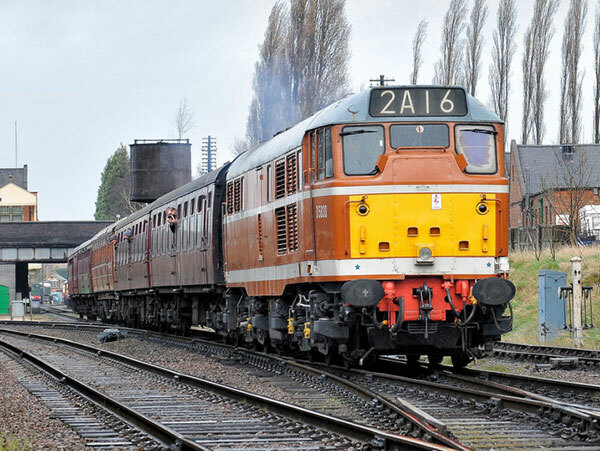 If you prefer something a little more modern, we have a fine fleet of heritage diesel locomotives and a multiple unit - take control of a diesel engine on our double track! Details of this new package are to be announced shorltly. Two return trips both with carriages, driving a main line diesel loco. Diesel experiences take place on selected weekdays. Why not share your experience and make it an entertaining day out for your family or guests as well? Each "trainee" is issued with a complimentary travel ticket for one guest on service days (two for notch 2) and any others in the party can purchase travel tickets on the day. All the facilities of the railway will be theirs to enjoy - museum, loco shed, station buffet, shop, signalbox and 3 other stations to visit.